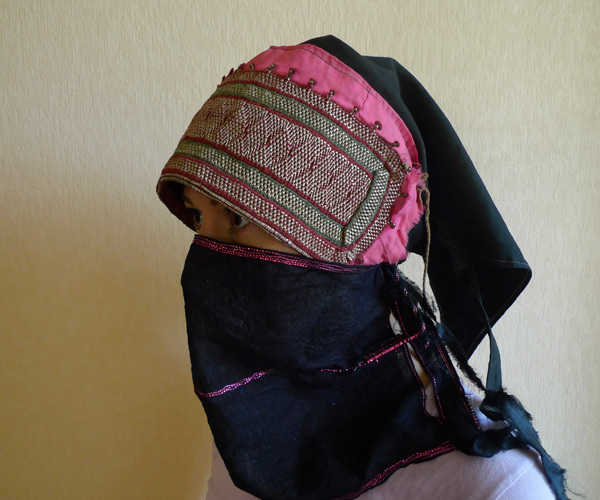 This headdress is a sort of headscarf with ties at the back and has a long rear part. 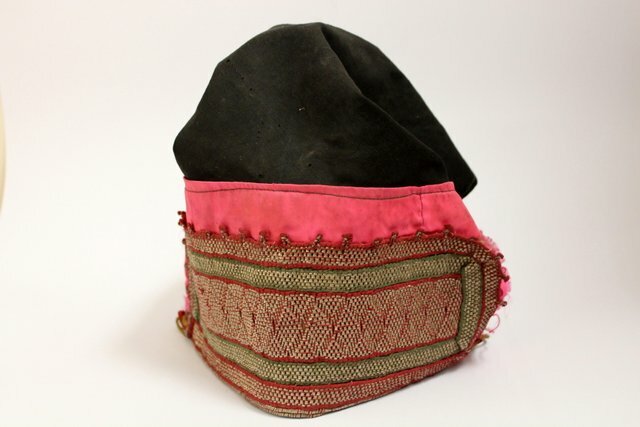 It is made of black denim, but segments of pink cotton are stitched onto the front, to which is attached a very peculiar headband - it is made of beads, not of glass, but of metal, sewed crosswise. These shawls are worn by women in the Tihama coastal province, in the southwest of Yemen.